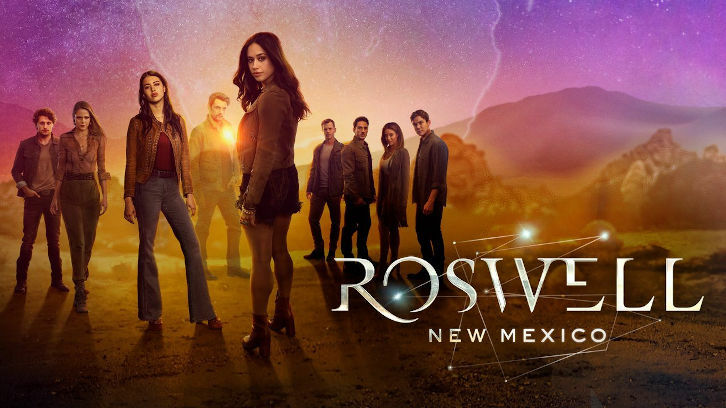 This week on Roswell, New Mexico Max agrees to let Isobel make Liz leave, so Isobel decides to practice on Maria in the hopes of figuring out why Maria hates her so much. It doesn’t end too well for Isobel, she passes out but not before learning it’s because Rosa was avoiding her the day she died. Kyle helps Liz with her dad, who ended up in the hospital due to early symptoms of diabetes. They later hook up. Max uses his powers to get to power back on at the hospital and later confronts Liz about what happened the night before. Liz says she feels like he’s still lying to her, which he is. 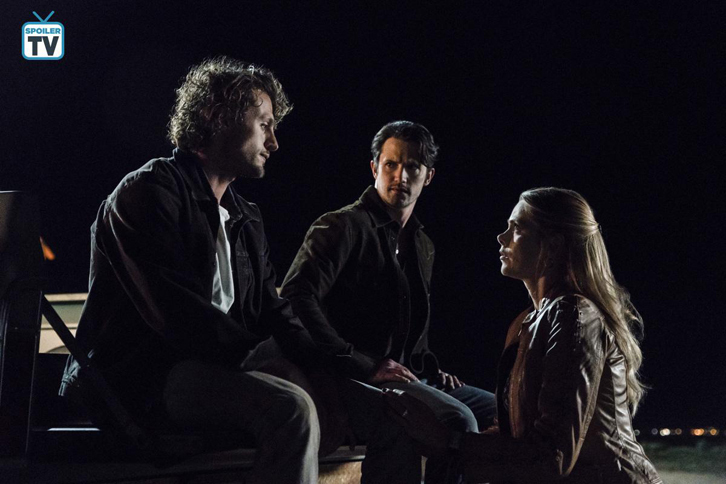 Cameron is approached by Manes, who promises to help out a friend of hers in return for access to the police station. Michael wants to take the fall for what happened the night that Rosa died, which apparently all 3 of them had a hand in. Who hurt you? I have to admit, the mystery of Rosa is one of my favorite aspects of this show. We’ve only gotten glimpses of her, but it’s enough to have us all speculating. 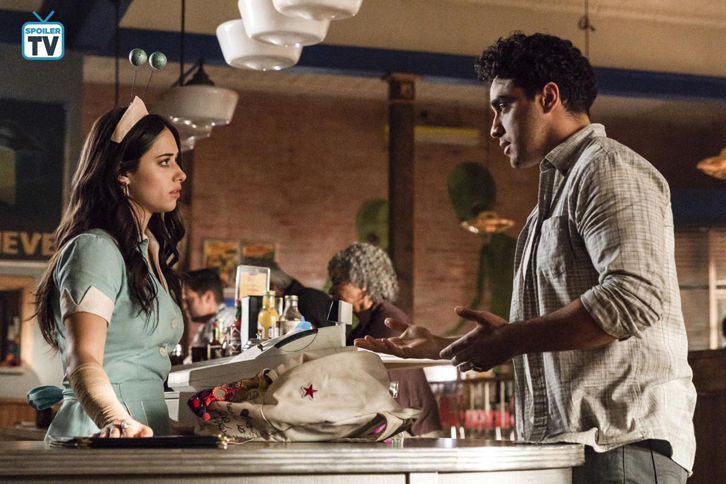 Liz was right to assume someone hurt Rosa. You don’t build up walls like that without experiencing some serious heartbreak. But I just can’t imagine her with Kyle’s dad. Not that we know either of them well, but she doesn’t seem like someone who’d hook up with a much older cop. And how does Isobel fit into all of this? Rosa clearly had issues with her but Isobel seems to have no clue why. Even though it didn’t seem that way last week. For a minute there I thought the Isobel might have been the one Rosa was secretly dating. But I think Isobel would remember that. What did you do? So it seems that Max, Michael, and Isobel are not so innocent after all. They’re hiding something huge relating to Rosa’s death. I swear, the more I learn, the more confused I get. So we know 3 girls died (Rosa and 2 others), we know the military was involved in the cover-up (probably) and that our 3 resident aliens also had some hand in it. Michael says he killed those girls but I’m willing to bet the writers just wanted to have a dramatic ending. He was probably just indirectly responsible or something, but feels like he killed them. I can’t believe we’re only 4 episodes in and I’m already dying to find out what happened. That was fast: Well, Max sure changed his mind very quickly. One week he’s telling Isobel and Michael to stay away from Liz, the next he’s saying it’s okay for Isobel to get inside Liz’ head and make her leave. Not cool, dude. Especially since Liz clearly doesn’t want to leave now that her dad’s health is declining. And I doubt she wanted to leave him the first time around after her sister died, when Isobel made her. But I guess Max doesn’t know about that yet (you know he’ll find out eventually). I have to say, this version of Isobel sure seems to like using her power. From what I remember from the original show, that wasn’t the case there (to be fair, I haven’t seen season 3 yet). But she seems to have met her match in Maria, who seems to have some powers of her own. I wonder if they’ll expand on that. I like this change: So, everyone was worried Kyle would be a problem for Max since he knows his secret. But it seems like it’ll be Cameron who fills that position. I knew they were headed in this direction the minute they revealed her military past. I’m glad, though. Cameron will be easier to dislike than Kyle, who is already becoming one of my favorites. And I doubt we have to worry about him revealing the secret. If he didn’t throw it in Max’ face when they were fighting, he won’t now. Cameron on the other hand, if they play the jealousy card, could be a real problem. Especially since she’s already intimately familiar with Max.